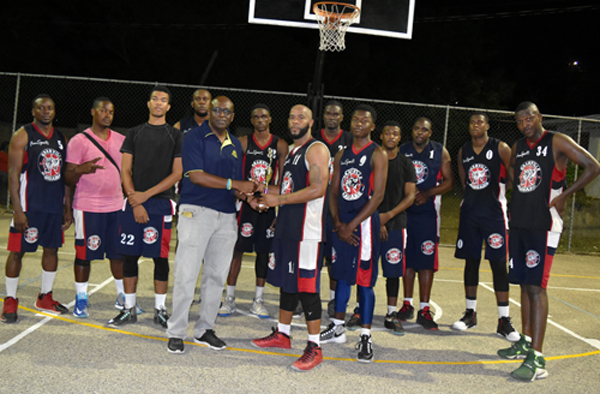 The exciting Dave Black provided the killer lay-up and completed an and-one play to steer favourites, Granville Jaguars, to the glory in the final of the Jamaica Basketball Association Western Conference National League. 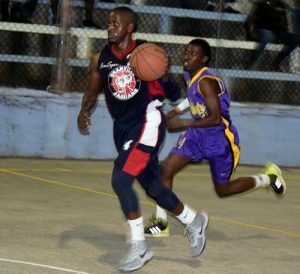 In the championship game played out at the Montego Bay Cricket Club on Saturday evening (April 14), Jaguars held off a spirited Montego Bay Cricket Club Knights, 68-65, in an entertaining and competitive affair. By virtue of reaching the final, both teams also gained qualification to the NBL playoffs scheduled to get underway sometime next month. The contest lived up to its hype and provided much excitement, as both teams gave as good as they got, with stalwart defensive plays and some flamboyant individual showings among the many highlights. The National duo of Levar Rose and Black, led the way for the Jaguars with a combined 44 points, a game-high 23 and 21 respectively. Knights started out positively and held a healthy 19-13 lead at the end of the first quarter, however, the Jaguars, with a wealth of scoring power in their line-up, rallied beautifully in the second quarter to take a narrow three-point (35-32) advantage to the halftime break. Ball handler Ralique Grant, with a couple of drives and easy lay-ups, and points coming from Karlington Barrett, saw the Knights rallying as they trimmed the Jaguars’ lead to a mere point, (49-48) heading into the fourth and final quarter. As both teams pushed for the winner, the final quarter proved pulsating with the opponents battling each other for points and going on runs during various stages of the quarter. Jaguars, determined to seal the win and with more scoring power, went on a 7-1 run in the opening stages of the quarter and seemed on their way, before the Knights surged with a run of their own to claw their way back into the contest. Schoolboy Brendan Dawkins, who came off the bench for the Jaguars, was instrumental in the run, getting four of his points along with three strong defensive plays. However, as time ran out, Jaguars showed grit while the Knights, fueled by some eye-opening substitutions, wilted under the pressure as they lived and died at the three-point line, all while their opponents were in foul trouble. Knights twice had the chance to cut the score to just one with just under 45 seconds remaining, but on each occasion, they attempted three-point shots which were not falling. The Knights attempted more than 15 three-point shots during the match, many of which failed to connect. Their final attempt at a basket was also a three-point effort which hit the side of the rim and rebounded. During the match, double-double specialist for the Jaguars, veteran Leroy Lawrence, just missed out on adding another sequence as he scored 8 points and hauled down 10 rebounds. For the Knights, Grant and Barrett each scored a team-high 14 points, while captain Jhuan Bryan added 11. The influential Rayon Gardiner, who had been leading the attacking line for the Knights during their run to the final, was restricted to just 8 points, but snatched 14 rebounds. The teams will now start their preparation work for participation in the All-Island playoffs.